The spectacular scenery ranges from towering forested mountains to quiet coves and bays. West of the rugged shoreline of D’Urville Island is Tasman Bay lined with golden beaches. 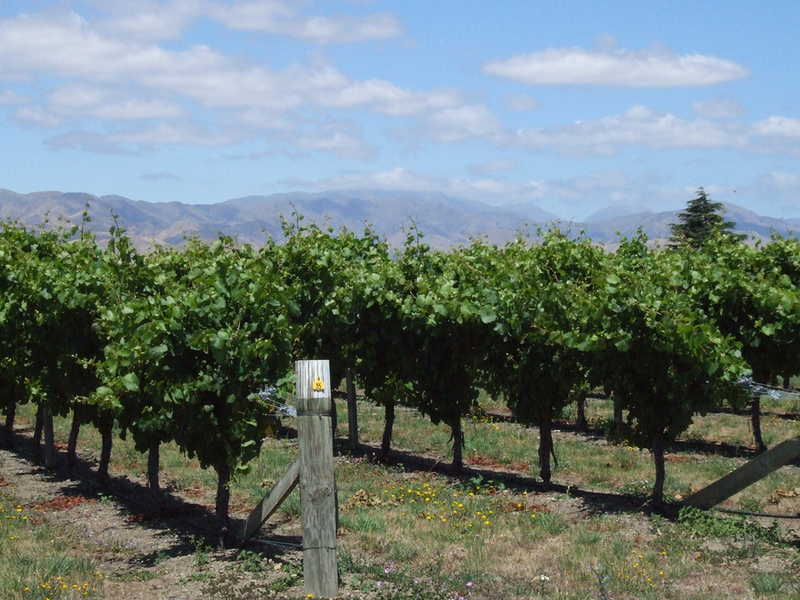 This area is home to New Zealand’s famous wineries and is New Zealand’s largest winemaking region, with about 65 wineries and 290 grape growers, featuring Sauvignon Blanc, Pinot Noir, Chardonnay, Riesling, Pinot Gris and Gewurztraminer. 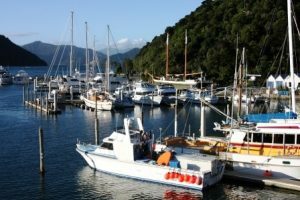 Be sure to include tours of several of the wineries in your charter itinerary as you cruise the Marlborough Sounds.Several of the more famous wineries in the area, with foreign wine exportation of their premium wines, are Cloudy Bay Wineries and Oyster Bay Wineries. 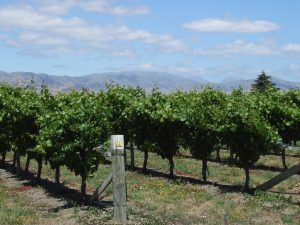 Cloudy Bay Wineries established in 1985 are located in Wairua Valley and are named after the bay at the eastern end of the valley, which was named Cloudy Bay by Captain Cook on his voyage through New Zealand in the 1770’s. 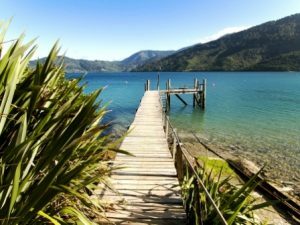 The Marlborough Sounds wineries are best known for their Sauvignon Blanc wines, and the Sauvignon Blanc wines produced at Cloudy Bay are considered by many to be the benchmark against which all Sauvignon Blanc wines are measured. 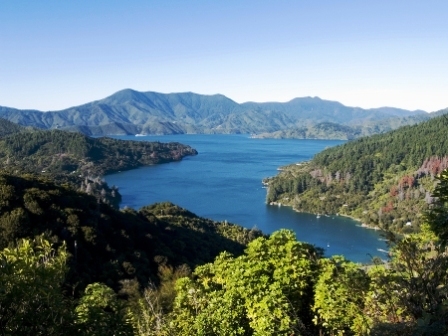 Visit wineries in the Marlborough Sounds for wine tastings, and bring your favorite wines back on board to couple with the famous New Zealand green lipped mussels from the waters in this area, and fresh bread dipped in extra virgin olive oils pressed at the boutique olive groves popping up on the hillsides, doused with local pink sea salt from Lake Grassmere, for an intimate taste of the Marlborough Sounds outstanding culinary and wine offerings.